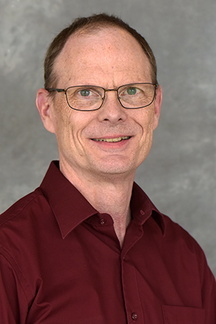 Keith Stelter, MD, MMM, is the associate director of the University of Minnesota Mankato Family Medicine Residency and a core faculty member of the Rural Physician Associate Program. He was elected to serve as chair on the American Board of Family Medicine Board of Directors for the 2016-17 term. He's also a member on the Minnesota Medical Association's Prescription Opioid Management Advisory Task Force. Prior to joining department faculty, Stelter practiced in Moose Lake and St. Peter, Minnesota. He has held multiple leadership positions in medical associations, including serving as past president of the Minnesota Academy of Family Physicians. In 2000, he was selected for a Bush Medical Fellowship in which he obtained a master of medical management degree from Carnegie Mellon University. Coutinho AJ, Cochrane A, Stelter K, Phillips RL Jr, Peterson LE. Comparison of intended scope of practice for family medicine residents with reported scope of practice among practicing family physicians. JAMA. 2015;314(22):2364-72. Gaugh RK, Stelter K. Rare cause of pancreatitis in a 20-year-old female. Minnesota Medicine. 2014;97(5):41. Buffington ALH, Stelter K. What do you mean you won't take your medication? Clinical and Surgical Ophthalmology. 2012;30(2).